Muffin baking tray and disposable muffin cups. Sift together flour, baking powder and baking soda. In a large mixing bowl, cream butter and sugar, with a whisk, until smooth and soft. Then add beaten egg, vanilla extract and whisk the mixture for around 5 minutes. Mash the bananas in another bowl and add them to the butter and sugar mixture. Lightly fold in the mixture until mashed bananas are evenly mixed. Add half of the sifted flour mixture to the bowl. Lightly fold the mixture until well mixed. Repeat for the remaining flour and mix the batter until even. At this point, you may feel the batter is thicker than usual. But that is the perfect consistency. 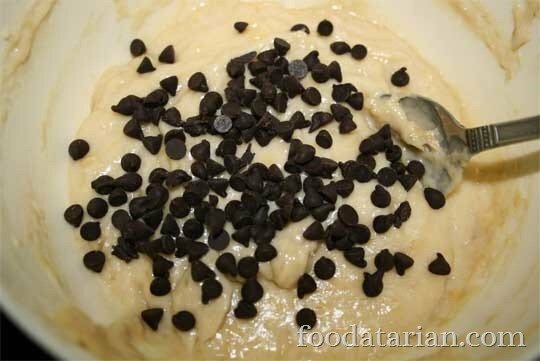 Now add in the chocolate chips and stir well. Preheat the oven at 180° C (350° F). Line up the muffin cups in the tray. Scoop out a spoonful of mixture and fill the cup to 3/4th of its capacity. 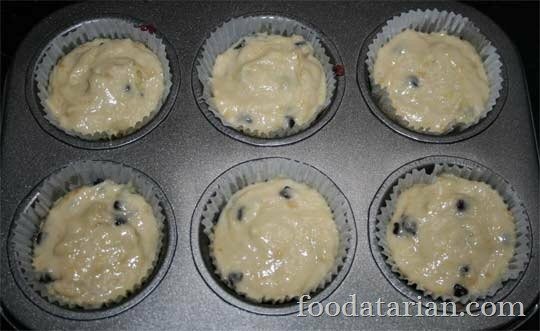 Do not fill the cups till the rim, as they will expand when they bake. Place in the preheated oven at 180° C (350° F) on the low rack for 20 minutes. Let them rest on the rack for few minutes before you take them out. 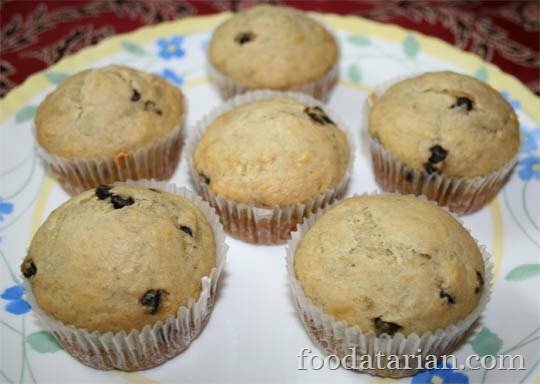 NOTE: I baked these muffins in my Microwave oven.